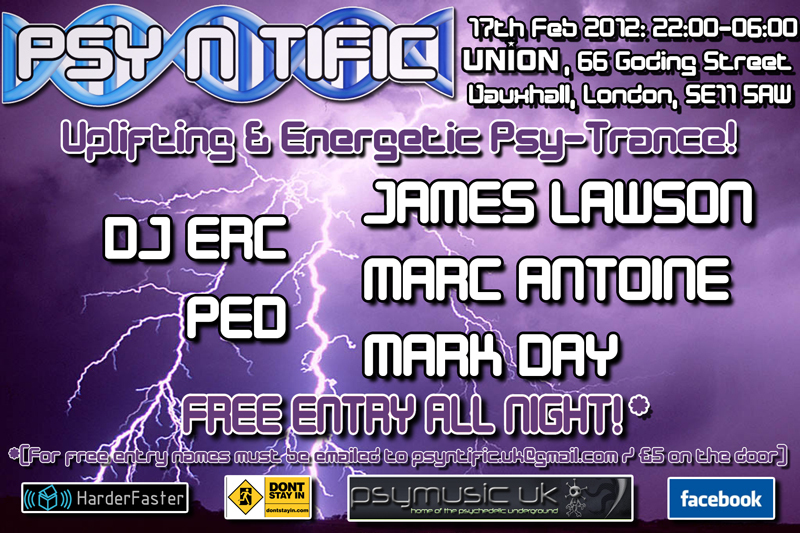 Psy-N-Tific enters 2012 determined to continue giving you quality nights full of the highest quality uplifting and energetic psy-trance, brought to you by some of the finest DJs London has to offer! As always, we will be bringing this to you from Union in Vauxhall and the fantastical light and sound systems that this entails. 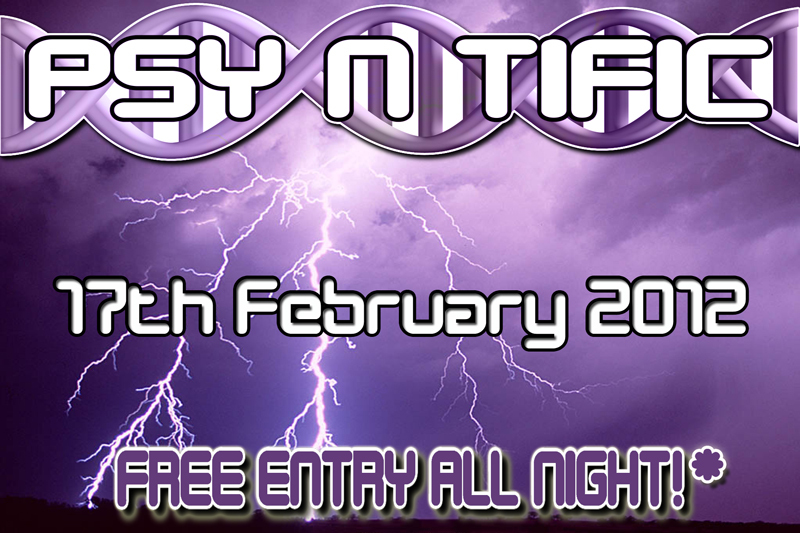 Psy-N-Tific's ethos has always been about offering you an amazing party with a free entry policy. You'll be pleased to know that we have no plans to change this, although we are changing the way in which we offer it. You will still be able to get free entry all night, but to achieve this you will now need to email us at psyntific.uk@gmail.com to be added to the free guestlist. Failure to do this will mean having to pay £5 on the door, so make sure you don't forget! We know that it’s the music that makes a party so as always we have endeavoured to bring you a line-up of DJs who will have no problem in pleasuring your aural passages throughout the night! A man who needs no introduction, but we're going to give him one anyway! A legend of the hard dance circuit, he has now turned his skills to psy-trance and has of late been locked away working on his new album (for more info on this, check out www.jameslawson.net). We are delighted to have tempted him out of the studio and can't wait to see what he has in store for us! The man behind the successful day party Futurity, he is better known for his taste of the fluffier things in life (including both trance and arm things...). An excursion to the NoWhere festival in Spain has opened up his eyes to the wonders of progressive side of psy though and he will be adding his Italian flair to the start of the night for us as he shows us some of these wonders! And our ragtag bunch of residents…. Mark Day’s hours spent in the studio living on a diet of flumps and cherryade has paid dividends as he has now seen his first tracks released. We’ll be extracting the morning side of his sound whilst ensuring the energy is kept as thumping as ever! Marc Antoine will be baring his ruthless uplifting streak once again as he attempts to demolish the dancefloor with a certain gallic flair. Expect a relentless attack of bass and melodies that’ll have you stomping as though your shoes are on fire! Ped will get you bouncing off the walls as only he knows how with his brand of uplifting psy. If you like you music melodic and banging in equal measures then make sure you don’t miss out! As always, we don't like to restrict the free element of our parties to just free entry and our free glowy things™ and free chewy things™ ensure you get unbeatable value from the night! Download Psy-N-Tific Volume Three, mixed by Ped!